WRIGHTSVILLE — Dealing with change is part of wrestling. Injuries, illnesses and many other factors can sometimes be a blessing or a curse, depending on how one reacts to it. 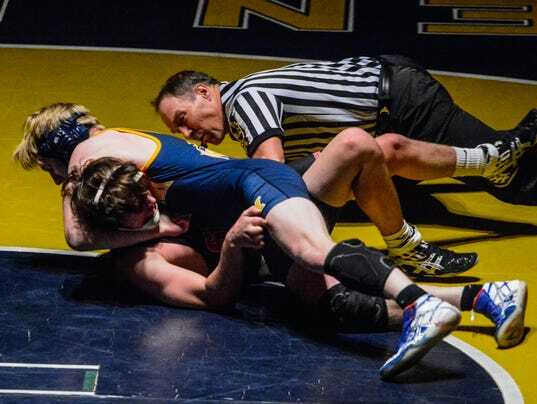 Such was the case Thursday, Jan. 18, at Eastern York High School when the host Golden Knights faced rival Susquehannock in a York-Adams League Division II wrestling battle. WRIGHTSVILLE — In a match in which every bout finished with six points being awarded to either visiting West York or host Eastern York, it came down to one point. For the Bulldogs, that point cost them a victory. With West York leading 42-18 with four bouts left, it seemed virtually certain the Bulldogs would prevail. Coach Tony Miller’s Spring Grove wrestling program has long succeeded on the mat. Miller, however, is concerned with more than just wins and losses. He also puts his efforts behind worthy causes that benefit the school district and community. 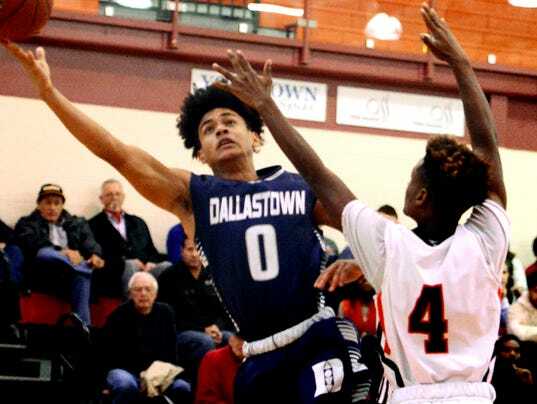 Coming into the season, there were plenty of expectations riding on the shoulders of the Dallastown boys’ basketball team. The Wildcats were coming off a promising 2016-17 season, when they made the District 3 Class 6-A playoffs and finished 14-9. Most of that team was returning. However, before the 2017-18 campaign could begin, Dallastown was handed a pair of personnel blows because of injuries to key players. Seniors Da’Trail Albert and Brandon McGlynn are both sidelined indefinitely, with Albert recovering from a torn ACL and McGlynn dealing with post-concussion symptoms. A trio of individual champions helped propel Central York to a team victory Saturday, Dec. 9, at the Sam Lovello Memorial Wrestling Tournament at Brandywine Heights High School in Topton. Standout heavyweight wrestler Michael Wolfgram was one of two Panthers to pick up titles with pins. Wolfgram secured his in 2 minutes, 46 seconds against Conrad Weiser’s Adam Kase in the 285-pound final. 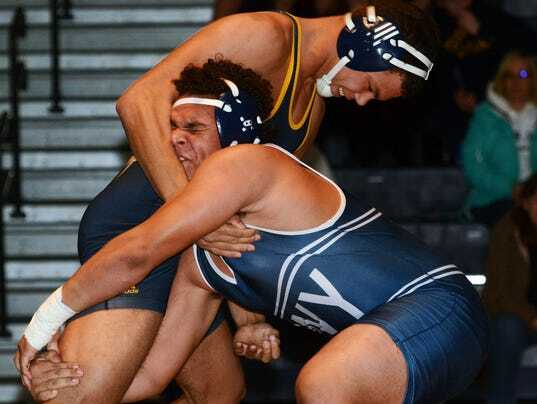 Antonio Rivera also scored a victory via pin, taking down Daniel Boone’s Colby Pyle in 1:58 during the championship match in the 170-pound division.